Rene Descartes is widely regarded as the father of modern western philosophy. Apart from being a leading philosopher, he also played a key role in the development of mathematics by being a pioneer of analytic geometry. Descartes was born in minor French nobility. His mother died soon after giving birth to him, his father remarried and he was raised by his maternal grandmother. Descartes was a licensed lawyer but he never practiced law. He also served as a soldier for three years and there is a conspiracy theory according to which he was a Catholic spy. Descartes never married but he had an affair and a child with a Dutch servant girl. He had a famous philosophical correspondence with Princess Elisabeth of Bohemia and he spent his last days in the service of Queen Christina of Sweden. Know more about the family, life, education, career, famous works and death of French philosopher and mathematician Rene Descartes through these 10 interesting facts. 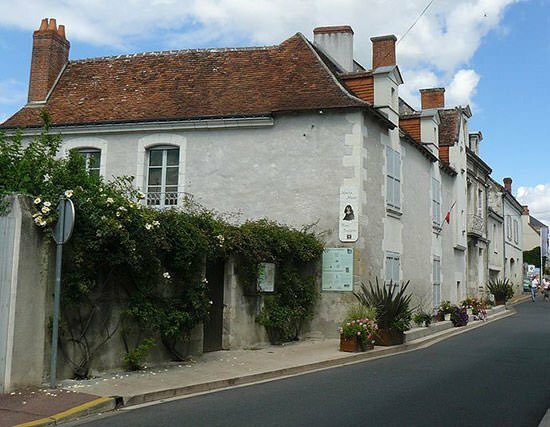 René du Perron Descartes was born on 31st March 1596 in La Haye en Touraine, a small town in central France. This commune was later renamed Descartes to honor him. Rene was the youngest of three children of Joachim Descartes and his wife Jeanne Brochard. Rene’s father Joachim was a councilor in the Parliament of Brittany in Rennes. Rene’s mother Jeanne Brochard died within a year of giving birth to him. Joachim remarried a few years later. Rene Descartes was raised first by his maternal grandmother in La Haye and then by his great-uncle in Chatellerault. He was a weak and sickly child. Due to his fragile health, his education was postponed a few years. In 1607, at the age of 8, Rene was admitted to the Jesuit College Royal Henry-Le-Grand at La Fleche. After his graduation in 1614, Descartes entered the University of Poitiers. He studied here for two years and took a law degree in 1616. In 1618, at the age of 22, Descartes enlisted to fight for the Protestant Dutch States Army in Breda under the command of Prince Maurice of Nassau. Though he was a soldier, the duties of Descartes were oriented more toward engineering. Also, it was at Breda that Descartes met one of the leading mathematicians of the day, Isaac Beeckman. Beeckman acted as a mentor to Descartes conveying his scientific knowledge to him. Together they worked on free fall, catenary, conic section and fluid statics. In 1619, Descartes wrote a short treatise titled Compendium of Music and dedicated it to Beeckman. Later, in 1628, Beeckman also introduced Descartes to many of Galileo’s ideas. However, the two then became involved in a dispute. Descartes wrote a few insulting letters to Beeckman in which, among other things, he denied that Beeckman had ever helped him with some of his mathematical discoveries. Despite this dispute, the two remained in contact until Beeckman’s death in 1637. In 1619, Rene Descartes left Breda to join the Catholic army of Maximilian I, Duke of Bavaria. It is to be noted, that despite being a Catholic, he had earlier served the Protestant Prince Maurice. In 1620, Descartes was present at the Battle of the White Mountain, an important battle in the early stages of the Thirty Years’ War between Protestant and Catholic states. Soon after this battle, he quit being a soldier. Well known British philosopher and author A. C. Grayling has suggested in his book that Descartes was a Jesuit spy. Jesuits formed one of the most committed of the Catholic orders. Grayling postulates that Descartes was in some way engaged in intelligence activities or secret work to reclaim for Catholicism those parts of Europe lost to Protestantism. 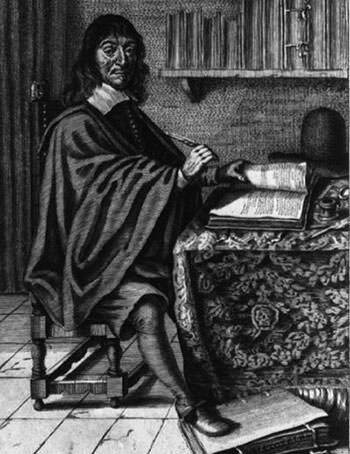 After being a soldier for three years, Descartes spent most of the remaining 28 years of his life in the Netherlands, which was the heartland of Protestantism. Moreover, it was not uncommon for intellectuals to work as spies at the time due to their command of languages and frequent travels. On the night of November 10, 1619, while serving as a soldier of the Duke of Bavaria, Rene Descartes was stationed in Neuburg an der Donau. Like his army colleagues, he was lodged with a town inhabitant. To escape the cold, Descartes shut himself in a room with an oven. It was here that he had his famous three dreams which, according to him, provided him with a mission in life. Descartes believed that a divine spirit revealed to him a new philosophy through the dreams. He took from them the message that he should set out to reform all knowledge. He believed that his achievements in philosophy and mathematics were a result of these dreams. The dreams made him realize that all truths were linked with one another so that finding a fundamental truth and proceeding with logic would open the way to all science. This in turn made him discover his famous basic truth: “I think, therefore I am”. Rene Descartes wrote all of his major works during his years in the Netherlands. In the four years from 1629 to 1633, he worked on a treatise which contained much of his philosophy, from method, to metaphysics, to physics and biology. However, in 1633, Italian polymath Galileo Galilei was tried by the Catholic Church for his scientific work which the church considered as heresy. He was pronounced guilty and sentenced to permanent house arrest for the rest of his life. Descartes, like Galileo, believed the sun was at the center of the solar system. He became wary after learning about the trial of Galileo and he abandoned his plans to publish Treatise on the World, which was to contain the work he did from 1629 to 1633. Though some parts of The World was published by Descartes in some of his works, the entire text was published in 1677, more than 25 years after the death of Descartes. 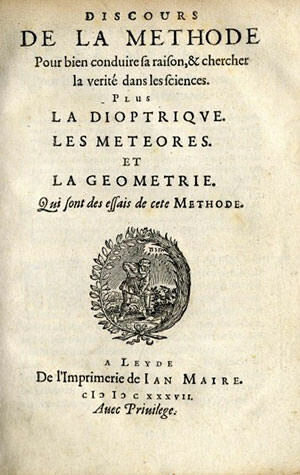 In 1637, the Discourse on the Method by Rene Descartes was published. The book contains the best known philosophical statement of Rene Descartes, i.e. “I think, therefore I am”. He further explained this statement as: if he doubted, then something or someone must be doing the doubting; therefore the very fact that he doubted proved his existence. This proposition went on to become a fundamental element of Western philosophy. In 1641, philosophical treatise by Descartes titled Meditations on First Philosophy, was published. The book contains six meditations, in which Descartes first discards all belief in things that are not absolutely certain, and then tries to establish what can be known for sure. The first two of Descartes’ Meditations formulate his famous methodic doubt, which is a systematic process of being skeptical about the truth of one’s beliefs. 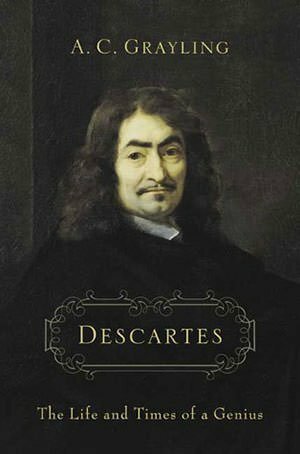 The Method and Meditations are regarded as among the most influential works in the history of philosophy and Rene Descartes is considered as the father of modern western philosophy. Though most known for his philosophy, Descartes was also one of the leading mathematicians of his time. 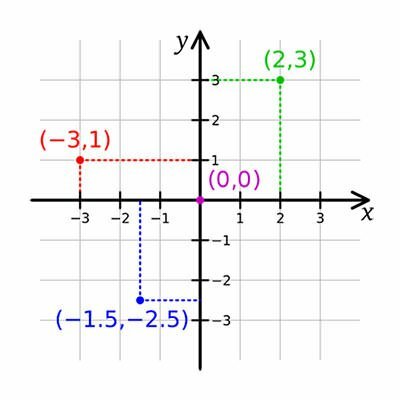 He invented the Cartesian coordinate system, which forms the foundation of analytic geometry. Also known as Cartesian geometry after Rene Descartes, analytic geometry is the study of geometry using the Cartesian coordinate system. It allowed for the first time the conversion of geometry into algebra; and vice versa. Analytic geometry is widely used today in physics and engineering, and also in aviation, rocketry, space science and spaceflight. Descartes also contributed significantly in the development of modern physics. Most importantly, he provided the first distinctly modern formulation of laws of nature. He discovered an early form of the law of conservation of mechanical momentum. He also made important contributions to the field of optics. Descartes visited the Hague to find support for his philosophical work as it was a gathering place for the leading intellectual figures and powerful men in the Netherlands. It was here that he met Princess Elisabeth of Bohemia, the eldest daughter of Frederick V. Princess Elisabeth took keen interest in the work of Descartes and, in 1643, she began her famous correspondence with him which lasted till his death in 1650. It is evident from the correspondence that Elisabeth had a remarkable and wide-ranging critical philosophical acumen. Among other things, she questioned Descartes’ idea of Dualism, or the mind being separate from the body; and she asked him how the soul could determine bodily spirits. Connected with his correspondence with Elisabeth, Descartes published in 1649 his work titled Passions of the Soul, and he dedicated it to the princess. The correspondence of Descartes and Princess Elisabeth is considered an important philosophical document. By 1649, Rene Descartes had become famous throughout Europe for being one of the continent’s greatest philosophers and scientists. 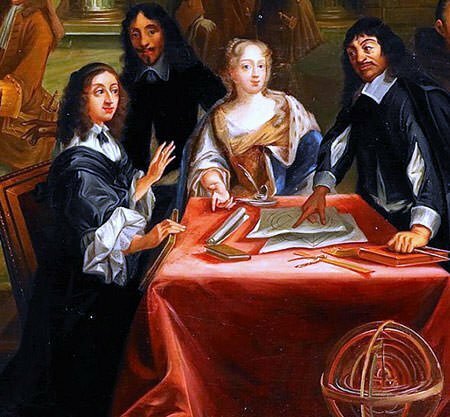 The same year, Queen Christina of Sweden invited Descartes to her court. She wanted him to organize a new scientific academy there and to tutor her in his ideas about love. Descartes accepted her invitation and moved to Sweden. He probably started with his private lessons on December 19, 1649. Christina had a strict schedule and she made Descartes rise before 5:00 AM to come to her castle in the cold. Rene Descartes contracted pneumonia on February 1, 1650. He died in Stockholm on February 11 at the age of 53. According to Pierre Chanut, French ambassador in Sweden in whose house Descartes was living, the cause of death was pneumonia. However, German scholar Theodor Ebert believes that Descartes died not through natural causes but was poisoned by a Catholic priest. Supposedly, this was done as Descartes’s radical ideas threatened an expected conversion to Catholicism by the monarch of protestant Sweden. Rene Descartes never married. However he did had an intimate relationship with Helena Jans van der Strom, a Dutch servant girl working for the bookshop owner with whom Descartes was lodging in Amsterdam in 1634. When Descartes moved from Amsterdam to Deventer, Helena went with him. The couple had a daughter named Francine Descartes on 19th July 1635. Though Francine was an illegitimate child, her baptism in Deventer on August 7, 1635, was recorded among the legitimate births. Descartes was planning to bring his daughter to France to get her educated but Francine died of scarlet fever at the age of 5. American historian Russell Shorto postulates that the experience of fatherhood and losing a child was a turning point in Descartes’ work. It changed its focus from medicine to a quest for universal answers. Helena is the only woman with whom Descartes is known to have had an intimate relationship. 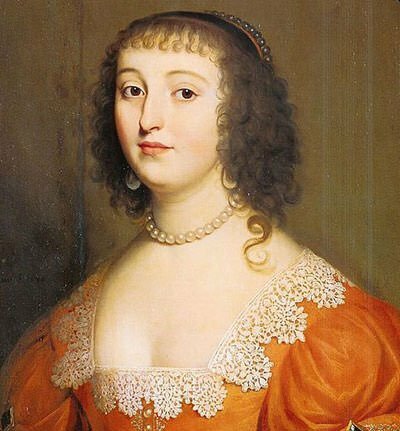 She ultimately married an innkeeper named Jan Jansz van Wel with Descartes providing the 1000-guilder dowry for the wedding.